What an evening! 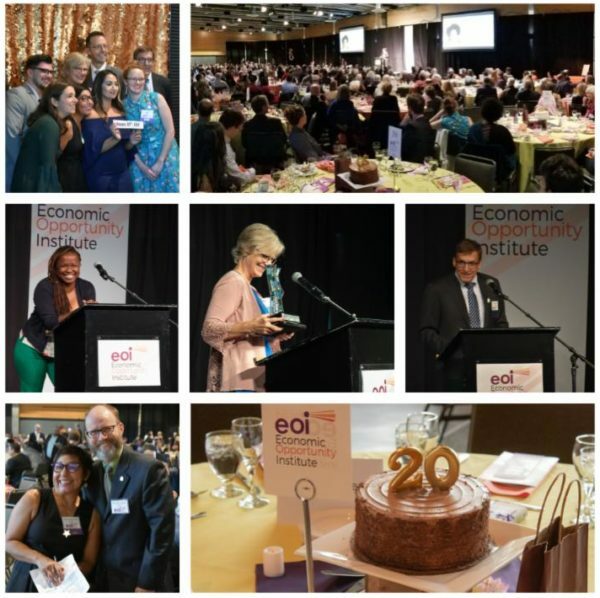 On behalf of everyone at EOI, thank you for being a part of our 20th Anniversary dinner. The night was one of both celebration and hope. Nearly 450 guests filled the room last night to help us commemorate the event. Lifetime Achievement Award recipient Senator Karen Keiser reminded us have how far we’ve come – and how far we have to go. She invoked Rosie the Riveter and had us chanting – we can do it! 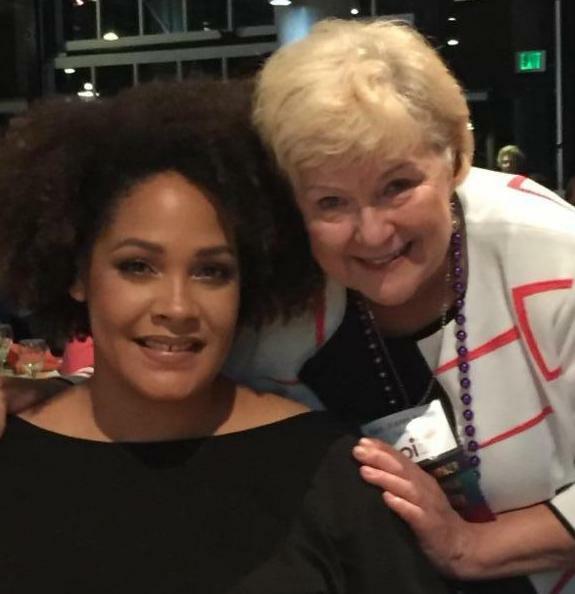 Ijeoma Oluo illuminated the idea that there is no ‘trickle down social justice’ – a rising tide does not raise all boats. She challenged us as activists and policy advocates to bring an intersectional lens to economic issues, and to remember that class and race are inextricably linked. We’ve been counting donations all day and have been deeply humbled by your support for economic opportunity and justice. We know you’re curious, so we wanted to let you know that all told, the event brought in just shy of $250,000!!! We are in awe of your dedication to building an economy that works for everyone. Your tremendous support will pave the way for progressive policy successes for years to come. I also wanted to announce that, thanks to all of you, we met our match of $50,000! In the coming days, you can check out our Facebook page for more photos of the evening and look for your photo booth shots at 321foto.com. What did you think of the event? We’d love to hear from you about what you enjoyed and what you think we could improve for next year. Thank you for being a part of our 20th Anniversary. We count ourselves lucky to have you on our side, and we look forward to moving into the future together. and all of us at the Economic Opportunity Institute! P.S. Weren’t able to make it to the event? You can still help us build an economy that works for everyone – click here to donate now. Thank you!